Fundraising is vital to Cherry Lodge Cancer Care. Without it, we would not be able to offer free services to all our Members. You can help us by attending our fundraising events, by becoming a Cherry Lodge fundraising volunteer, by getting people to sponsor you to take part in an event or activity, or by putting on your own event on our behalf. 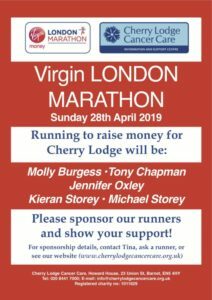 For more information about all aspects of fundraising, in the first instance please contact our Charity Administrator and Fundraising Events Coordinator, Tina Papasavva, on 020 8441 7000 or email tina@cherrylodgecancercare.org.uk. From quiz nights and tea parties to seasonal fairs and football matches, there are numerous events you can enjoy while also supporting Cherry Lodge. Our online Events Programme doesn’t only give you the dates of planned events – it provides more information about them. We need enthusiastic and energetic volunteers to help with Cherry Lodge’s many fundraising activities. Volunteers in our regular Fundraising Team play an important role in the planning and running of our ongoing programme of events. Other volunteers, perhaps with only occasional time to spare, may offer to help out with specific events. If you are involved in putting on plays, shows, musicals, garden parties, garden displays or any other events, you might like to do it on behalf of Cherry Lodge. People can raise impressive amounts of money for Cherry Lodge by getting people to sponsor them to take part in some kind of activity. Cherry Lodge is keen to work with local companies to help them raise money for Cherry Lodge. 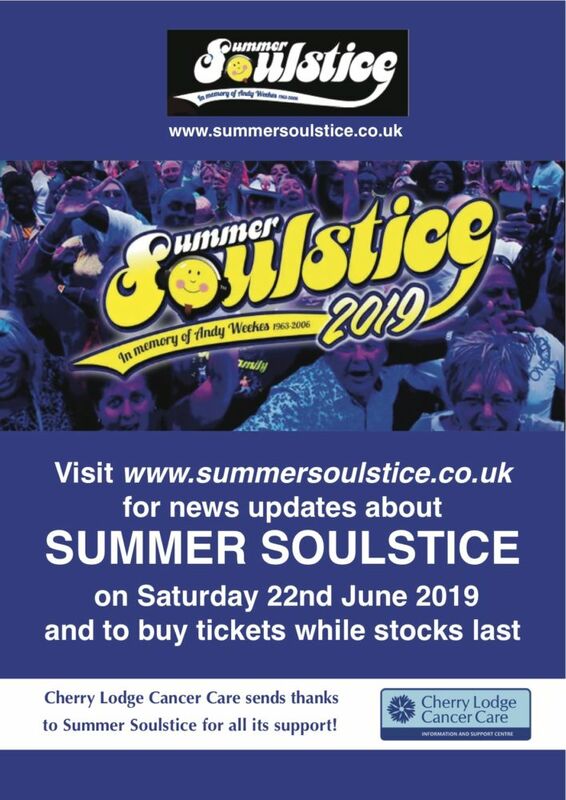 if you would like to find out how your company might be able to get involved, please contact Margaret Clark, Chairman of the Trustees, on 020 8441 7000. To help people raise money for us, we can provide secure, numbered Cherry Lodge Cancer Care collection boxes. 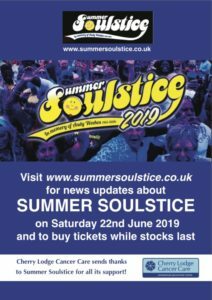 You might want to take several if you are holding a fundraising event on our behalf, or you might like one to display prominently at your place of work or in a local shop. During the course of the year, we are granted permission to use our collection boxes on specific days in supermarkets or shopping centres. Volunteers are always needed to help with these collections. We aim to provide an interesting account, with photographs if possible, of our recent fundraising events. If you are going to attend an event and would like to write about it, or if you have photographs that you would like to share, please contact Tina Papasavva, on 020 8441 7000 or email tina@cherrylodgecancercare.org.uk.